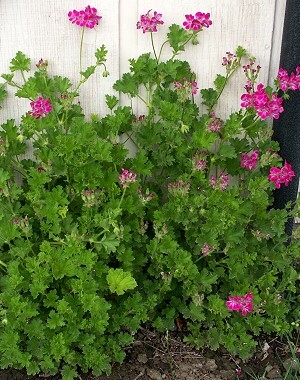 When we first bought this geranium it was labeled "Pineapple" which we didn't really understand. While it has a nice fresh fragrance, it definitely doesn't smell like Pineapple. We eventually uncovered its real name which make a lot more sense because the large pink flowers are brilliant pink. The leaves are a rich green and the bush is very easy to grow. We can over winter it with extra protection, like next to the house. 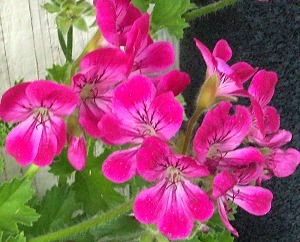 It can also be grown in a container and over wintered in the house. It will need progressively larger containers as it does get quite large.